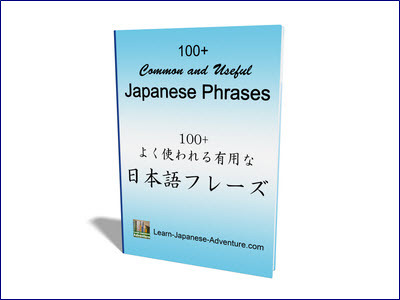 You will learn what Japanese expressions to use when comparing two items in this lesson. The items being compared can be people, things, places, time, etc. Meaning: Which is more Adjective? NounA or NounB? Meaning: NounB (or NounA) is more Adjective. The one in the bracket (NounA より) can be omitted. Both the question and answer look simple, aren't they? Meaning: Which place is hotter? Hokkaido or Osaka? Meaning: Which one is more expensive? Bullet Train or Train? Meaning: Bullet Train is more expensive. Meaning: Whose bag is heavier? Mr Suzuki's bag or Mr Yamada's bag? Meaning: Mr Suzuki's bag is heavier. Meaning: Which country is bigger? America or Japan? Meaning: Who is taller? Ms Tanaka or Ms Takamatsu? Meaning: Ms Takamatsu is taller. Meaning: Who is better at tennis? John or Mike? Meaning: Mike is better at tennis. Meaning: Which one do you prefer? Meat or Fish? Meaning: NounA is more Adjective than NounB. 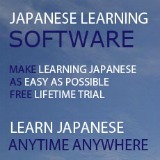 より (yori) here has the meaning of "than" or "as compared to". 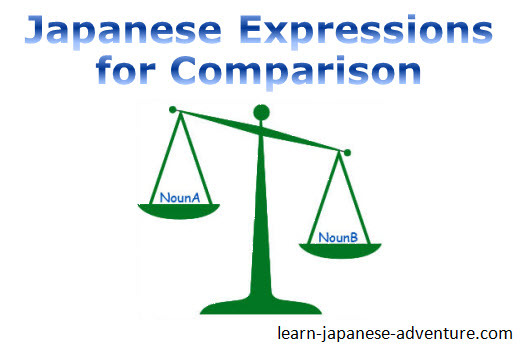 Therefore you can say "As compared to NounB, NounA is more Adjective". Meaning: Japan is smaller than America. Meaning: Mr Yamada's bag is lighter than Mr Suzuki's bag. Meaning: Train is cheaper than Bullet Train. Meaning: Hokkaido is colder than Osaka. Meaning: Ms Tanaka is shorter than Ms Takamatsu. Meaning: John's tennis skill is poor as compared to Mike. 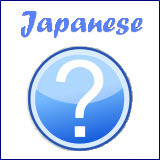 All the above Japanese expressions are commonly used in comparing two items.